There are a great many blogs written on the topic of education. I read a fair few, and I suspect that what I get the chance to read barely scratches the surface. I’m struck by the passion with which they are written and the dedication of those who write them. Can you tell there is a ‘however’ coming? However…. I have a creeping feeling that as practitioners, and in celebrating the reflective nature of our teaching, there is somewhat of a culture of fetishising pedagogy. I might be wrong, but from what I read, the teaching and learning blogs far outweigh those that consider other educational issues. It sometimes leaves me wondering if we fail to see the practice, and more importantly, our learners, in a holistic way. I’m calling for people centred pedagogy. I’m guilty of this at times. Have a look at my previous posts and you will see a lot of pedagogical ideas which focus on learning and not the learner to the extent which they deserve. I don’t know this; but I wonder how many renowned and respected bloggers really give us an insight in to not just their questioning or assessment tools, but also show us the real care and diligence they have to show their learners to maximise their potential. I’m sure that we don’t all work at outstanding institutions; I know I don’t. However, I do with with a lot of outstanding teachers – yet the institution is not yet – so there must be something beyond teaching and learning that makes an institution outstanding. If you know your Teaching and Learning is of a very high level, I would maybe reflect on the impact it is having to your learners, to their (your) results. Is it the case that it is purely your pedagogical excellence that is making the impact on your learners? As you will most likely be aware…. there is certainly more to raising standards, and the outcomes for learners than just pedagogy. Yes – it can shape the culture, the mentality, the ethos of an institution. Yes – I have no doubt it is noted as being important in your school values and mission statement, but what really makes a school great, no, truly great, is the care and love that it shows its own pupils, perhaps when they are least deserving of it. The difficult, sometimes violent, maybe almost impossible to reach kids. Sometimes it’s the progress they make that is the mark of a truly great practitioner. The vulnerable, the neglected, the bullied – it is the change in their self belief and interactions with the world that measure how effective we really are. How much is this captured in debates over pedagogy, where ultimately I resolve after reading both sides that there is somewhat of a false dichotomy? I’ve read arguments over blogs about the way phonics is taught, that offer no resolution to the issues but simply fuel the fire of debate. Maybe less focus on debates of this nature, and more on what can also have real impact, not just in the acquisition of knowledge/skills, but also in the lives of those to whom we can be a positive and consistent role model. Improving teachers, who have never seen a grade one at observation, can still have real impact by showing they care to pupils who need this very basic interaction. Teachers who are consistently grade one in observations, but who only focus on the latest Pedagogical style, or go do not the extra mile will never, to me, be truly outstanding teachers. 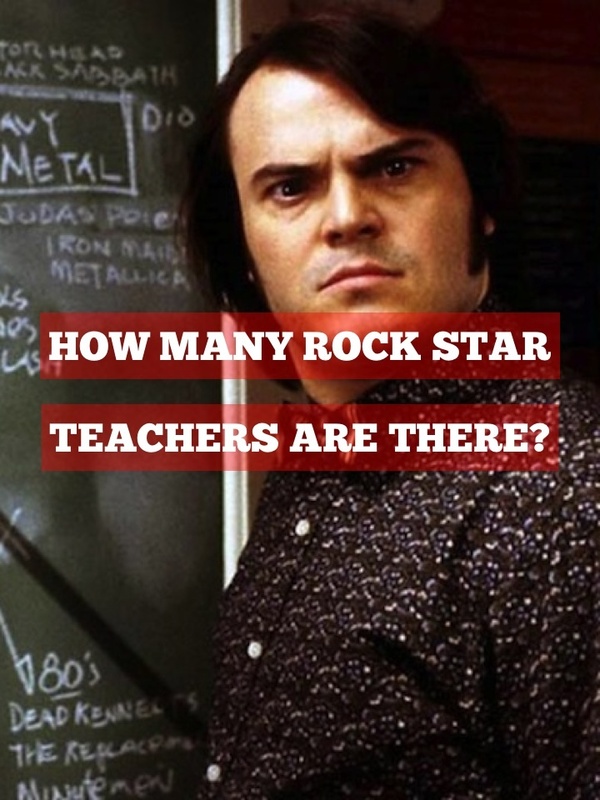 Of course you can be both, and then you are so good, you are probably a teaching rock star. Is it all flashy lights and naff 1980’s smoke machine effects. When I read your superstar blog, I don’t want to always see grand theories of learning. I want to read about what keeps us humble. The mistakes you have made, those kids you couldn’t reach and how will you work harder so that this doesn’t happen again. Let’s be reflective. That doesn’t mean just reporting successes; this means telling your nurturing, teaching community that you tried something, and maybe it didn’t work. This is just as inspiring, if not more – and you are fulfilling the very real need for positive role models, not just for your students, but for teachers everywhere who don’t feel their own practice will and can get better. It can. It will. But only if they feel empowered to try, make mistakes and learn from them. Let’s reflect in a more genuine and real way. I want to get a real sense that you know your learners, and that whilst considering pedagogy is crucial (and interesting in a geeky way) what makes you the better teacher is by being focused on the very real students in your classes. I was offended at work last week when a colleague referred to my lessons as ‘whizz bang and gimmicks,’ although on reflection some of the things I try might look that way. I work really hard in planning to ensure that the focus on the lesson is not on the task, but on the learning. Maybe I should be trying harder to ensure that the focus is actually on the learner. I think that I do show my learners that I care, but I need to plan this in a much more integral and ultimately, inclusive way. Ask yourself, why do learners do well in some classes and not others? I would put money on it being the relationship with the teacher rather than the difficulty of the subject or even the pedagogical excellence of that class. Why would learners go the extra mile? Some won’t do it for their parents or even for themselves; but they will do it for you. That’s why really holistic teachers are often found running clubs, societies above and beyond what is expected of them. These are teachers whose learners can wait to help at Open Evenings, or other events, because their teachers have made them feel part of a community, one in which the culture (norms, roles, values) are bound up with seeing a holistic view of the learner. As grown ups – our lives are often very stable. We know what will be happening to us day-to-day, we can make decisions about our lives; we know that we have the love and support of friends and family. A great many, too many, of our learners live complex, troubled lives which even us as grown ups would struggle to deal with. Some live with neglectful parents, some have little consistency in who cares for them, some act as carers for parents or siblings, or have cultural and language barriers. They struggle into school carrying a great weight on very small shoulders. This is the same in schools across the country, and creates a great many barriers to learning. I would have the utmost respect for any blogger who can tell me how you are breaking down these barriers. How does your, no doubt inspirational pedagogy, impact on these kids. Thank you- glad you enjoyed! I don’t imagine for one minute that this blog post is directed at me, however, I hear your challenge and think it is something that everyone who blogs can reflect on. Personally I am fed up of reading blogs that show the world how clever the writer, but does t give an insight to the solution in their classroom (or therefore one I can try in mine). Perhaps this is a good thing? Resolutions: I will find the photographs and make a blog post about our science fair! Absolutely, you have put this so well. It is brilliant advice that I would like to think I follow some of the time, although certainly not all. I’m going to try to do so more. I loved your post Ross. I’ve only just read your blog and the ensuing comments-I absolutely agree with the your comments on ‘up their own arse’ bloggers and with the obsession of basing a notion of ‘outstanding’ on 1 Ofsted lesson or 2 appraisal obs. I can understand to a certain extent why schools have extra sessions for those who wish to ‘move from good to outstanding’ or secret support sessions for 4-3-2 but outstanding learning should come from the combined efforts of all of the teachers. Our ‘Super Teacher’ inset gave a ‘girlie mag’ quiz covering as many areas as I could think of when teachers individual actions help create outstanding for all e.g. trying out new ideas, feeding back on them, measuring the impact of them, informal drop-ins, giving advice, peer obs advice, being kind to a colleague when they need it and so on [65 different factors not 1 lesson!] Apologies for the rant-don’t get me going on unannounced lesson obs and the ridiculous short sighted way some LAs and SLTs plan to get schools out of special measures-support and develop, talk and discuss what good teaching should be before the lesson obs not after! Thanks for your comment. Lots to think about!